Columbia Chapter, SCGS at Richland Library, November, 2018. Photo by Ellis McClure. 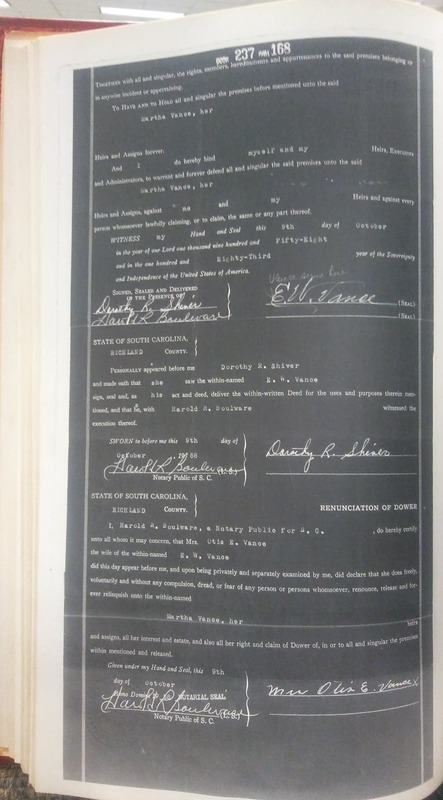 Of all my finds thus far, finding my grandfather, Emory Wallace Vance, Sr. among the Richland County, SC grantor deeds has been the greatest to date. The thought that I could find out what happened with him came into my mind in 1985. I had heard my grandparents talk of their life in South Carolina, and I had heard reminisces from their children over the years. The answers I needed were not forthcoming. In 2005, I moved to Hopkins, SC from Illinois. It was closest to the area where my grandfather lived when he was here in 1952. I worked in the family history center, and I moved about the community getting to know people and using the Richland Library. It was time well spent at Richland Library over the years where I learned of the places in Richland County which were important to my family. My daughter, Adrianne would be on these adventures with me as part of her homeschool. I learned about Greenwood County from books on the shelves at Richland Library. I was ecstatic when we all moved up there; I knew it was my chance to learn that area and meet people. I had atrial fibrillation in September of 2016 so it took me until the end of the year to regulate my heart and to recover enough from the stroke to get back to researching. In January 2017, I came back strong as a family history consultant. My neurologist at the time tested me. I knew she knew me when her findings were that there are two things I would never forget: the gospel of Jesus Christ and genealogy. I was astounded that she should tell me that in her office downtown Chicago. It’s been almost two years from that time. I have been going strong since. 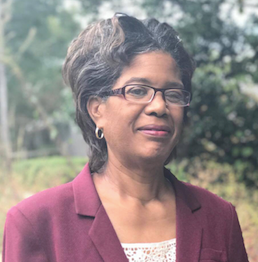 I tell you all that because in October 2018 I was asked by Debbie Bloom, Richland Library Local History Manager, at the Lower Richland Heritage and Genealogy Society meeting at Richland Library in Columbia, SC to speak to the Columbia Chapter, SCGS meeting in November. Richland Library is a FamilySearch affiliate. 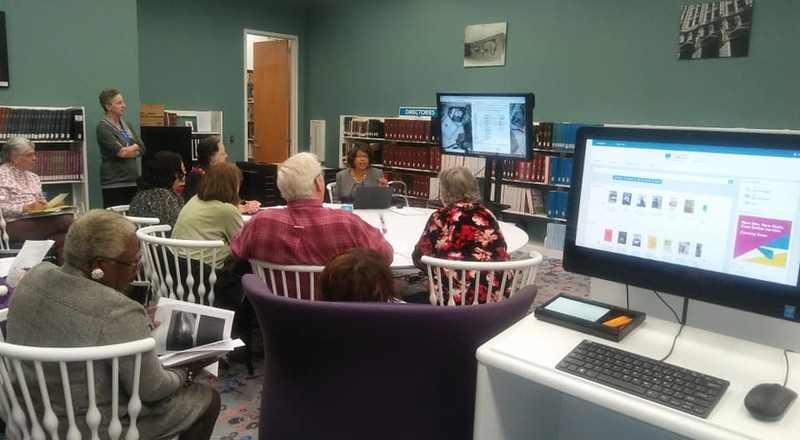 I knew I would mention “What’s New at FamilySearch.org?” and IAAM CFH, but I wanted to include Richland County deeds which I had never presented to them before. Perhaps it would help someone. 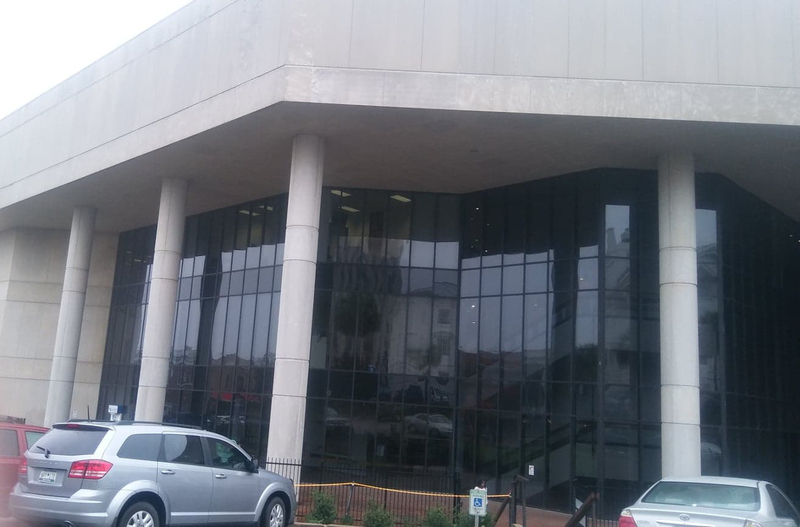 November came quickly, and I went to the Richland County, South Carolina Courthouse. Richland County Courthouse, Columbia, SC, November, 2018. Photo by Ellis McClure. Once inside, I went to the Richland County, South Carolina Register of Deeds to search for land records two days before the presentation. I have very many deeds that I could have chosen. Several family members migrated to Columbia from Greenwood County, Laurens County, and Union County. The office of Register of Deeds was very helpful. 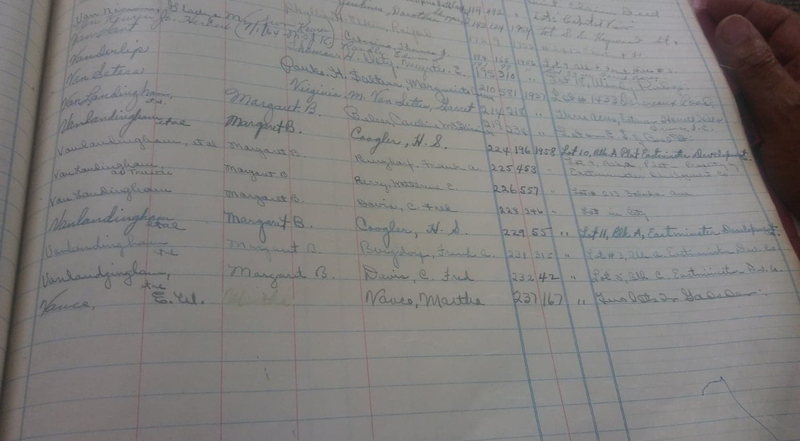 I copied the Vance’s in the grantor and grantee indexes from 1865 to 1958. There were several. I chose to look closer at E. W. Vance and Martha Vance in Gadsden. 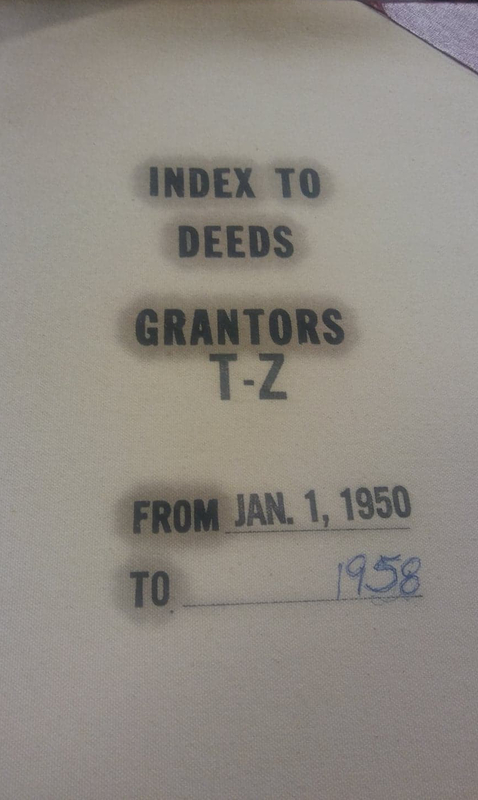 It was a grantor index. E. W. Vance was Emory Wallace Vance. He was selling the property. My eyes raised at the year. He was supposed to have lost this property in 1952. No one in the family knew about this. I could not wait to see the deed. Richland County, South Carolina, Index to Deeds, Grantors T-Z, From Jan. 1, 1950 to 1958, Register of Deeds, Columbia, South Carolina. Photo by Ellis McClure. 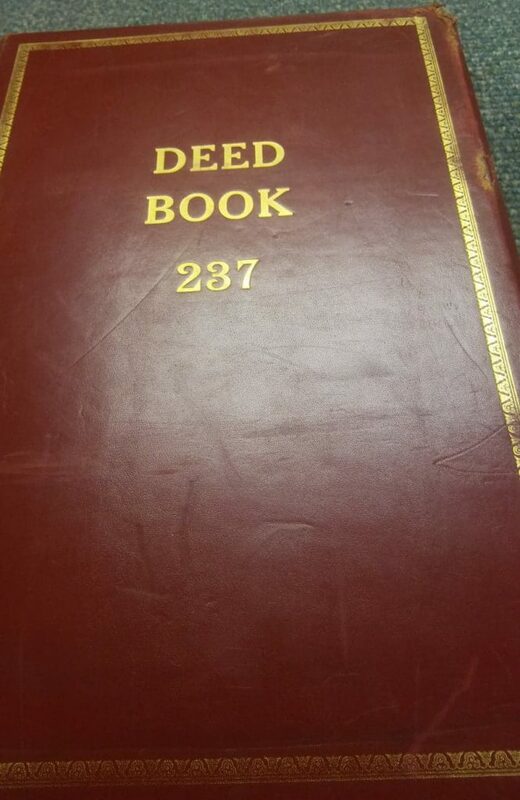 Vance, E. W., Book 237: 167, Richland County, South Carolina, Index to Deeds, Grantors T-Z, From Jan. 1, 1950 to 1958, Register of Deeds, Columbia, South Carolina. Photo by Ellis McClure. 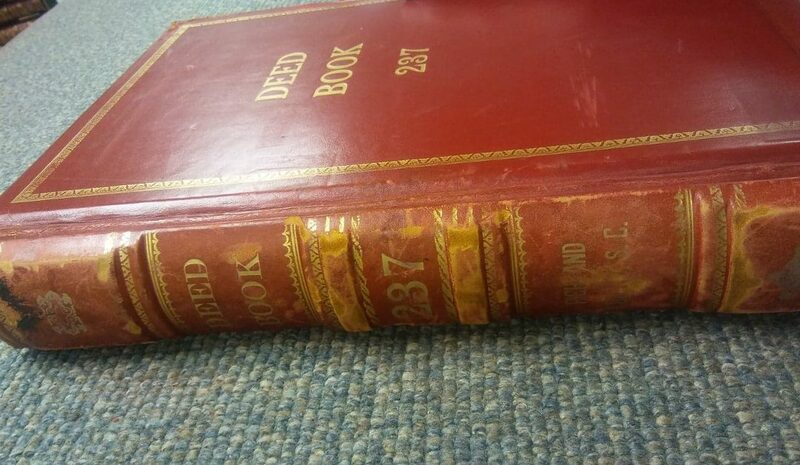 Book 237: 167, Richland County, South Carolina, Index to Deeds, Grantors T-Z, From Jan. 1, 1950 to 1958, Register of Deeds, Columbia, South Carolina. Photo by Ellis McClure. 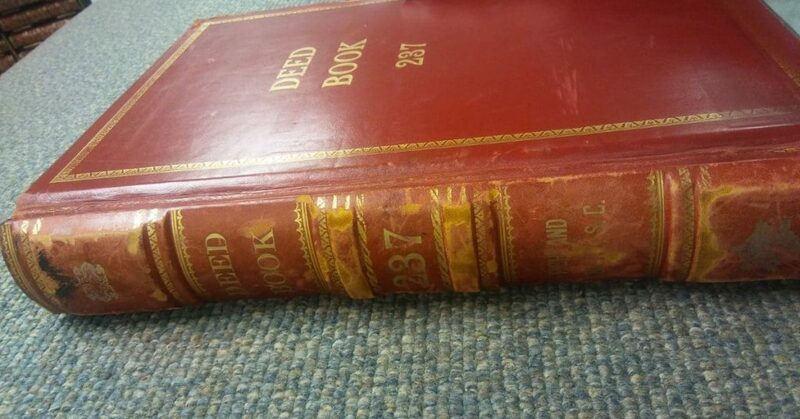 Book 237: 167, Richland County, South Carolina, Index to Deeds, Register of Deeds, Columbia, South Carolina. Photo by Ellis McClure. E. W. Vance, Book 237: 168, Richland County, South Carolina, Register of Deeds, Columbia, South Carolina. Photo by Ellis McClure. On October 9, 1958 E. W. Vance sold two lots of land in Gadsden, South Carolina. 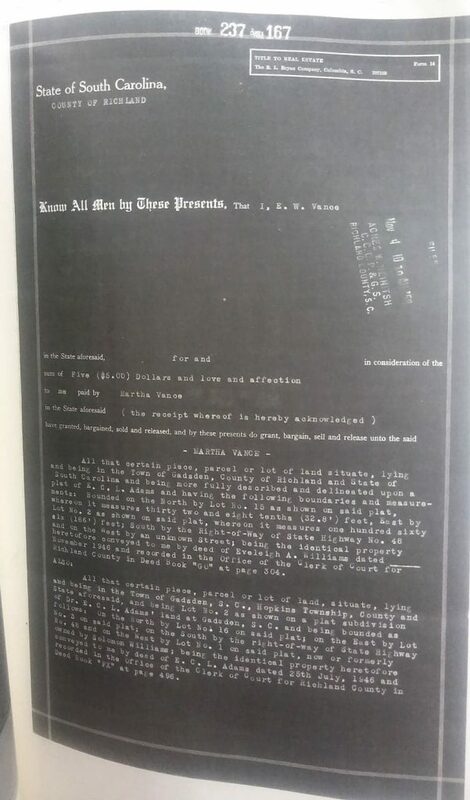 They were identical to parcels of land deeded to him in Clerk of Court for Richland County Deed Book “GU” page 304 and Deed Book “FX” page 496 1946. He sold these properties for $5.00 and love and affection to Martha Vance. Mrs. Otis E. Vance, my grandmother, also gave up her right to the property. This is the first we have heard of the transaction; $5.00 cost and love and affection to Martha Vance the third wife of Rev. Lafayette Franklin Vance. The first wife was Nunia Johnson Vance. Then he married her sister, Lula Johnson Vance, and had my grandfather, Emory Wallace Vance, Sr. Rev. Vance died in 1952. Now Emory was seeing after the wife, Martha who was still living. I was able to present this find to the Columbia Chapter, SCGS meeting attendees. This was more important than all my discoveries since 2005. I was only wanting to share something important to that group. Remember what I was doing in September 2016? I almost did not make it back. I would not have brought to light this transaction for my family. I would not bring to light what I have yet to discover in the courthouse. There are still more deeds to take a look at. Emory Wallace Vance, Sr. lived until 1972. Can you believe a deed from 1958 could have been so forthcoming? He moved from Gadsden in 1952. He was not even living in South Carolina. I will continue to trace him among South Carolina records. Was this the property that he had lost in 1952? What other deeds can I find for Emory? How about other family members? What did Martha do with that property? Do you have questions about deeds? Put your question out on our Facebook Group.